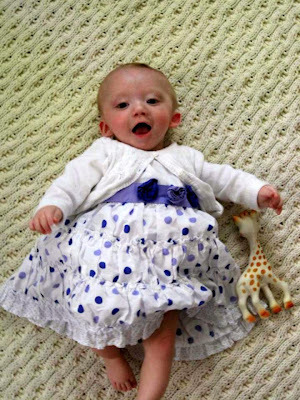 The 16th of the month... again... and with it brings another month of sweet, precious, amazing life for my Lily. 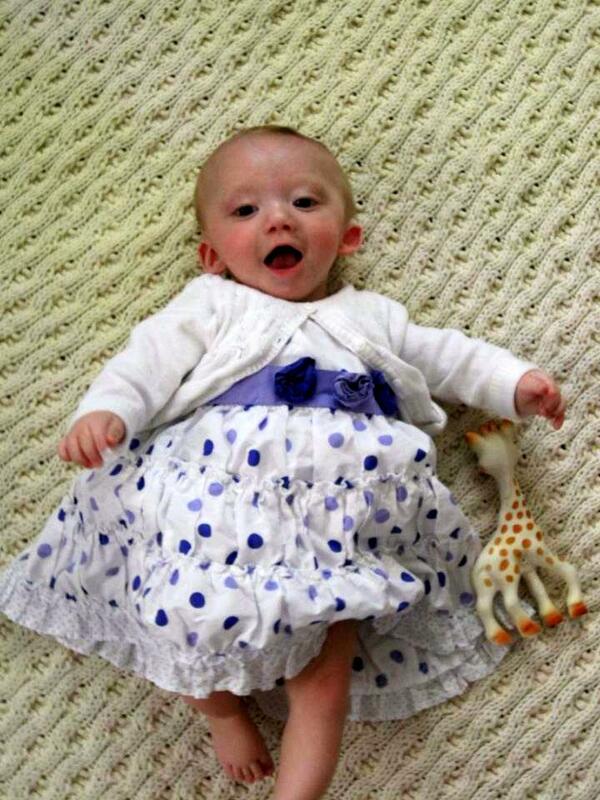 It is hard to believe that it was 7 months ago today that Lily made her miraculous appearance into this world. It has been an amazing, frightening, frustrating, and always blessed 7 months for sure. Our tiny princess lights up our life, and keeps life interesting every moment. Love you baby girl! And while I know many of you are wondering about things like my weight loss, my trip with Lily to North Carolina, and how my running is going, I promise I have posts coming on all those things this week, but for now, because we all have to eat...what's for dinner this week? Well... a few weeks ago my mom bought me the new Pioneer Woman cookbook for my birthday, and I've been trying 1-2 recipes a week from it. If you already know PW, you'll know that she is not known for her... well... let's just called it Weight Watcher's friendliness. So... I've been adapting the recipes as best as I can to keep them points friendly and healthy, yet tasty for me and my family. This past weekend we tried the Peach Whiskey BBQ Chicken - definitely a hit! I've shared my adapted and more Weight Watcher friendly version of the recipe below. PWs... uses a chicken legs, and a lot more butter, oil, whiskey, well... just a lot more of everything! melt butter and olive oil in a heavy, ovenproof skillet, Brown chicken on all sides over medium high heat, about 5 minutes. Remove chicken from pan. Turn pan down to medium and add the onions, and cook about 3 minutes. Add the whiskey and cook about 3 more minutes to burn off the alcohol. Take a couple swigs out of the bottle while you are waiting (Shhh... don't tell anybody). Add the BBQ sauce, peach preserves, Worcestershire sauce, water and peaches. Return chicken to the pan, cover with a lid and put in the oven for 1-1/2 hours. PW serves with mashed potatoes, but we served with rice and some veggies to keep it a little healthier. What a sweet picture of Lily! That looks delicious...but am I talking about the food or Lily??!! !